Hancock Resource Center provided construction management, volunteer coordination and/or access to nonprofit funding to completely rebuild 10 homes and rehabilitate 25 homes. This was accomplished by partnering with more than 20 other disaster-relief organizations. More than 300 volunteers from around the country have provided 8,632 hours of service to residents of Hancock County. The total value of Katrina-related rebuilding for 2011 was $3,301,853. 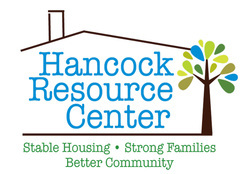 Hancock Resource Center has provided pre-purchase counseling for more than 233 Hancock County residents for the MyHomeMyCoast program, Bay Waveland Habitat for Humanity and the Mississippi Alternative Housing program. The counseling resulted in 125 new homeowners in Hancock County. The economic impact of new homeowners was $7,021,944. Foreclosure prevention counseling for 150 families was provided in 2011; eleven home foreclosures were prevented through counseling. The value of preserved homes was $1,476,900. More than 1,000 children and 431 families were served through the Salvation Angel Tree program in partnership with Hope Haven. Hancock Resource Center employes 11 people, 10 living in Hancock County. The total economic impact of HRC for 2011 was $11,975,403.